AV-TEST rates each tool for three areas: protection (six point max), usability (six points max) and features (one point max). Eight of the 13 Android antivirus software apps listed below received perfect protection and usability scores of 6.0. The apps are in alphabetical order. The average real-time malware detection rate for all apps tested was 97.8 percent. For real-time detection of Android malware discovered in the past four weeks the average rate was 98.2 percent. 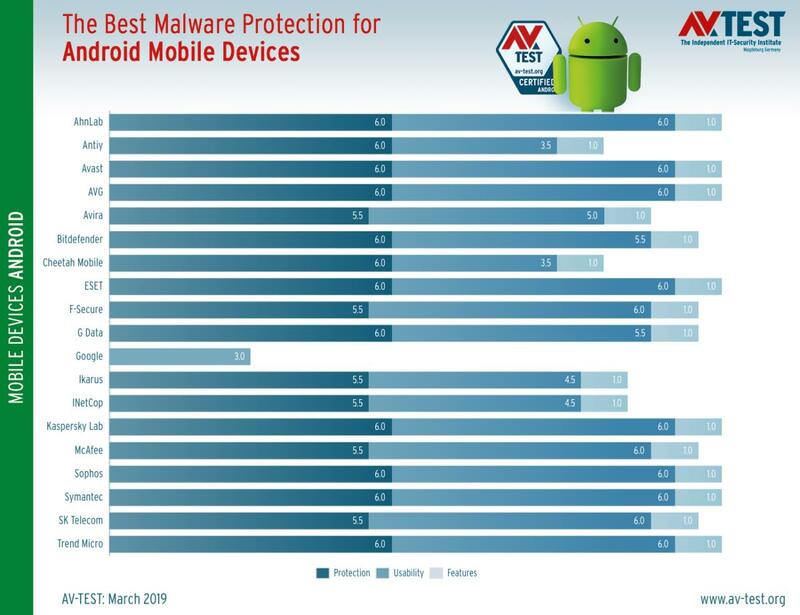 What the AV-TEST results show is which Android antivirus products are consistently the best at the fundamentals of malware detection and have minimal impact on system performance. That makes a good starting point as you evaluate which products work best for your environment. AhnLab V3 Mobile Security didn't quite achieve perfect detection scores: 99.9 percent for both malware detection and detection of recently discovered malware. That was enough to earn it perfect ratings. The app gave no false warnings. It has a good feature set including anti-theft, call blocking, safe browsing and anti-theft features. However, it lacks parental control, personal data backup and encryption. Avast Mobile Security 6.16 managed Android malware detection in real-time 99.7 percent of the time. It found 100 percent of the latest Android malware discovered during the previous four weeks. The app doesn’t negatively affect battery life or cause the device to get sluggish during normal use. It registered zero false warnings during installation and third-party app stores. Mobile Security’s safe browsing features help protect against phishing attacks and malicious websites, and it offers anti-theft features such as remote wipe. The app also has a call blocker. Additional features not evaluated by AV-TEST include an app lock, a privacy advisor, and wi-fi security. AVG AntiVirus Free 6.17 had a 99.7 detection rate for real-time malware detection and a 100 percent detection rate for recently discovered malware. It gave no false warnings. The app has a decent set of features including anti-theft, remote wipe, call blocking, safe browsing, backup of personal data, app lock, wi-fi security, and privacy advisor. However, it lacks message filtering, parental controls, and encryption. Bitdefender Mobile Security’s Android malware detection in real-time is 100 percent, and it discovered the newest Android threats discovered in the last four weeks 100 percent of the time as well. For usability, the app gets big check marks for not dragging down battery life or device speeds. AV-TEST found zero false warnings during installation/usage of legitimate apps from Google Play, but did give one false warning during installation and use of apps from third-party stores. Unlike some Android malware protection apps, Bitdefender’s Mobile Security offers anti-theft features, including remote lock, wipe, and locate, as well as safe web browsing and phishing protection. Like many other Android security tools, it doesn’t include message filtering or call blocking and doesn’t support all types of encryption. Additional features not evaluated include app lock and a privacy advisor. Eset Endpoint Security had perfect scores in both malware detection categories and high ratings for usability and performance. It has a good set of features including anti-theft, call blocking, message filtering and safe browsing. It does not offer personal backup or encryption. F-Secure Safe detected the latest Android malware in real-time 99 percent of the time and those discovered within four weeks 99.9 percent of the time. There’s no drain on battery life or performance and the app doesn’t generate too much traffic. False warnings during installation and use of legitimate apps from Google Play were zero, but the app gave one false warning during installation of use of a legit app from third-party stores. Features include anti-theft (remote lock, remote wipe, and locate), call blocking, safe browsing, parental control and application privacy. G Data’s Internet Security has more features than many of its other top-rated competitors. AV-TEST checked the boxes for remote lock, wipe, and locate; call blocking; message filtering; safe browsing; and parental control. The only ‘x’ marks the app received were for not enabling personal data to be saved to an SD card or cloud storage and not support any kind of encryption. Internet Security’s real-time Android malware detection rate was 99.7 percent, while it detected threats discovered in the past four weeks 100 percent. The excellent usability score resulted from not negatively affecting battery life, dragging down device performance, or generating too much traffic. The app issued zero false warnings during installation and use of legitimate apps from Google Play, but did give on for apps from third-party app stores. Kaspersky Lab’s Android malware scanner caught the latest Android malware in real-time 100 percent of the time and the latest threats discovered over the prior month 100 percent of the time. The app’s perfect usability score results from not impacting battery life, slowing performance or generating too much traffic. The feature set is more robust than most, with remote locking, wiping and location; call blocking; message filtering; and safe browsing/anti-phishing protection. Additional features not tested include privacy protection and anti-phishing protection for texts. McAfee Mobile Security Android malware scanner detected bugs in real-time 99.5 percent of the time, and caught malware discovered in the last four weeks 99.1 percent of the time. Usability was stellar. The app’s feature set is strong, including a full set of anti-theft tools, call blocking, safe browsing and phishing protection, parental control, and the ability to save personal data to an SD card or the cloud. Mobile Security doesn’t support all types of encryption, however. Other features not tested include battery optimizer, privacy check, and app lock. A new of the AV-TEST leader list, SK Telecom T guard lost a half point on the protection score, detecting real-time threats 99.8 percent of the time and newly discovered malware 99.5 percent of the time. T guard doesn't offer features found on most other Android options, including anti-theft, call blocking and safe browsing. One untested feature it does offer is rooting detection. Sophos Mobile Security detected new malware in real-time 99.7 percent of the time and within four weeks 100 percent of the time. The perfect usability score comes from not impacting batter life or performance or generating too much traffic. The app includes anti-theft, call blocking, message filtering, and safe browsing features, along with a privacy advisor, security advisor, app protection and authenticator. Symantec Norton Mobile Security caught 100 percent of all Android malware, including those discovered recently and within four weeks, with no false warnings. It has a good set of usability features, including safe browsing, personal data backup, anti-theft, and call blocking. Features not reviewed include an app advisor. Trend Micro’s Mobile Security checks most of the feature boxes: anti-theft, call blocking, text message filtering, safe browsing and anti-phishing protection, and parental control. Plus, there are a privacy scanner, messenger protection, and network protection. You can back up personal data to an SD card or cloud storage, and any kind of encryption is supported. The app achieved a 100 percent detection rate for new malware in real-time as well as for threats discovered in the past four weeks. Usability was excellent, too, with no drag on battery life or performance and zero false warnings. Research from the AV-TEST Institute shows that Android malware samples collected have increased sizably every year. In 2014, the total was more than 326 million. The next year, the malware tally reached more than 470 million. In 2016, AV-TEST recorded nearly 597.5 million samples—nearly double the amount from two years earlier. And in 2018, we’re looking at 838.14 million. By 2019, mobile malware will comprise about 33 percent of all malware reported in standard tests, up from 7.5 percent today, according to Gartner’s August 2017 “Market Guide for Mobile Threat Defense Solutions.” Though iOS devices aren’t immune from malware, “The mobile malware threat is primarily coming from Android,” said Dionisio Zumerle, research director at Gartner. 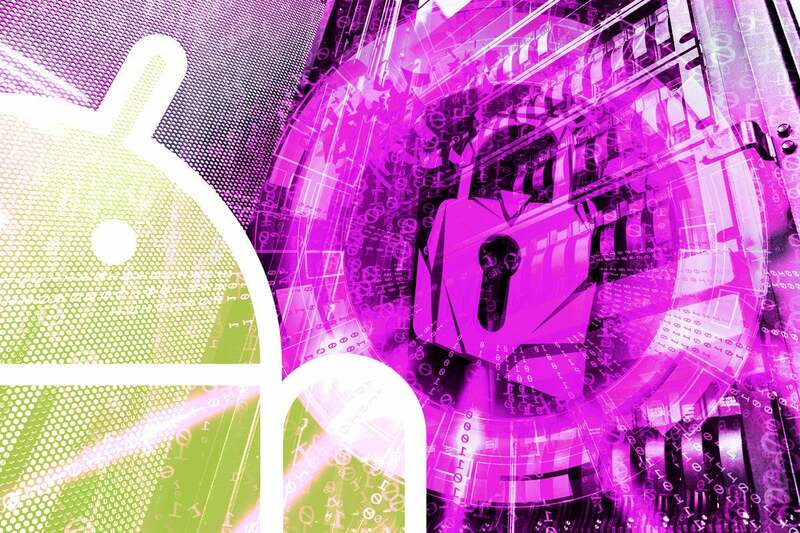 The threat should be a concern for all companies with Android users, he said—especially those with large fleets of Android devices or that are in high-security verticals such as finance, healthcare, and government.